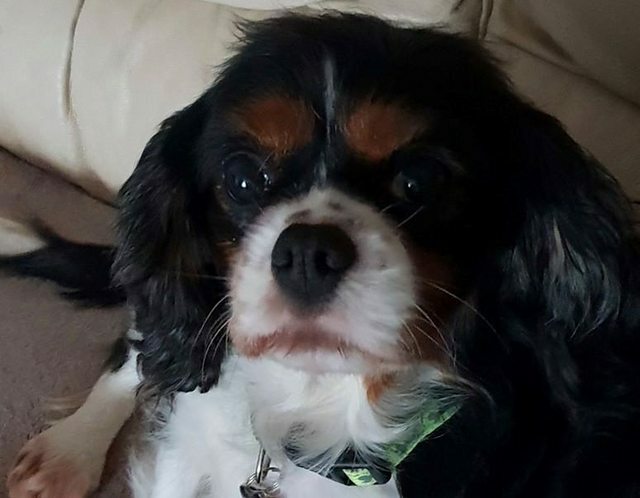 Mindy is a 4 year old female Cavalier King Charles Spaniel. Mindy is an tiny sweetheart. Although not very vocal she loves a fuss and a cuddle and her idea of heaven is to be curled up on your chest nuzzling your neck. 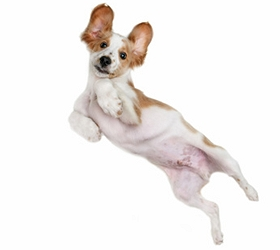 Her tail never stops wagging and this underlines her pleasant personality. Mindy is happy around people and loves to be fussed and cuddles. As she is quiet in nature we think she might be slightly unnerved by really young children. Mindy is relaxed and happy around other dogs. Not tested with cats. Mindy’s house training is nearly complete and we only have the odd mistake. She does not play with toys and prefers to curl up in a bed, on a settee or the nearest available lap. 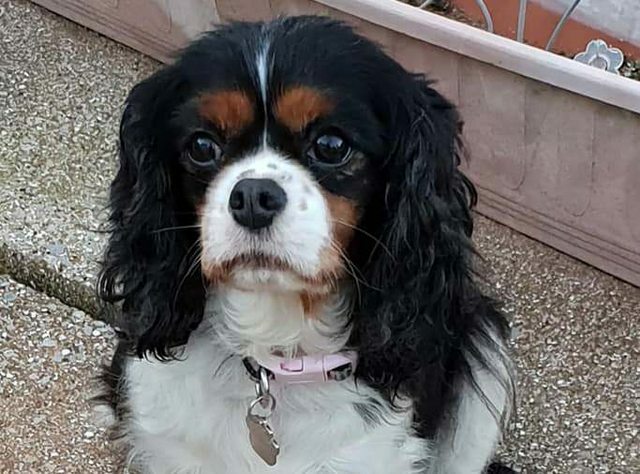 The big outside world is still strange and scary for Mindy and she is not keen on leads walking so her new family must be prepared to work at her pace. Mindy needs a quiet home with one or two confident resident dogs to help with her rehabilitation. She needs a family that is prepared to invest time and effort and will cherish the love and affection she gives in return. Mindy is neutered, chipped, vaccinated and up to date with her flea and worming treatment. Potential adopters will be expected to travel to meet her in her foster home in Rhonda, South Wales. 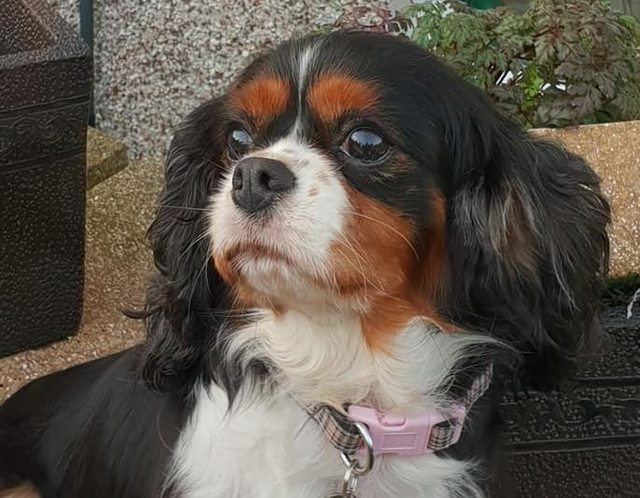 If you are interested in adopting Mindy please read about our rehoming process and complete a Pre-Adoption form ( link here ) and one of our adoption coordinators will contact you for a chat.